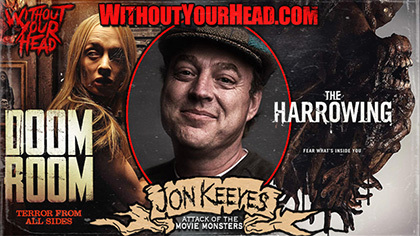 Jon Keeyes writer and director of "The Harrowing" and "Doom Room" followed by Hayden Tweedie also of "The Harrowing", "Doom Room" and "Barney the Dinosaur"! Jon Keeyes writer and director of "The Harrowing" and "Doom Room"opened the show! 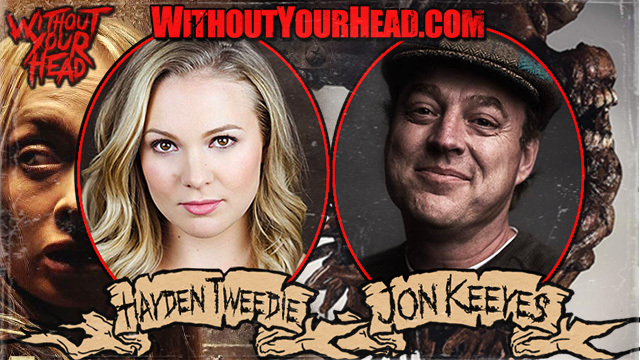 - idea of "battling your demons"
- Arnold Vosloo and more! 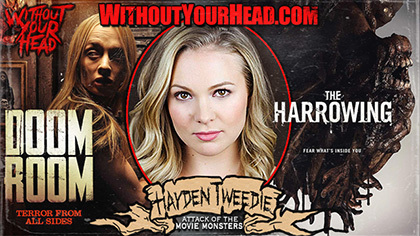 Hayden Tweedie also of "The Harrowing", "Doom Room" and "Barney the Dinosaur"! - experience of working on Barney the Dinosaur and much more! "Cut Off Your Head" by Music of the Month Scary Cherry & the Bang Bangs!